Organizations normally need to copy sensitive data from a production system to a testing or QA system. In order to adhere to data privacy regulations and corporate security, a significant amount of extra processing is often required. Sarbanes Oxley (SOX), HIPAA, and other compliance issues add time and overhead... BCV5 processing and speed helps you meet your goals. 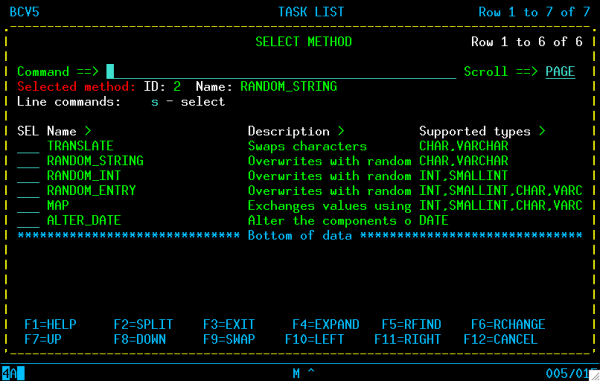 When copying data like account balances or medical records to a development environment, perhaps the actual names of customers should not be visible to an application programmer. Data scrambling or replacing the name and other sensitive information with random data is sometimes required. In some cases, it is desirable to replace characters according to a given pattern; this provides the ability to reconstruct the original input for parallel and integration testing strategies. Why copy and entire table when a smaller and more manageable subset will get the job done? Depending on the stage of testing, a full copy of a table may not be necessary. If a particular test scenario only requires customers from a certain zip code area, why copy an entire table with thousands or millions of unwanted rows? As tables grow in size, there will not always be enough free space to hold multiple copies of all testing data. Therefore, at times it may be preferable to specify criteria for copying or skipping rows from large tables prior to executing the actual copying or replication. The BCV5 solution allows the anonymization and data reduction functions to be made in-flight. At no time does the target environment contain sensitive or unwanted data rows. The task of coding multiple job streams and scripts that unload data, manipulate sequential data sets and reload the data is eliminated. There is no plethora of UPDATE statements to execute on the copied table, which results in huge DB2 logs, and numerous constraint checks and index updates. It is possible to make a list of table columns that require anonymization by BCV5. 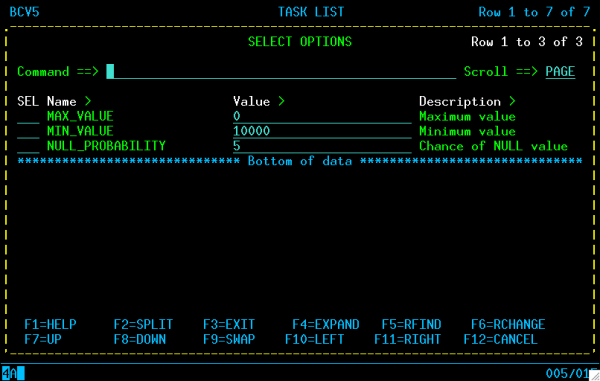 Every copy task containing a table on that list is automatically processed according to the rules specified by the organization. 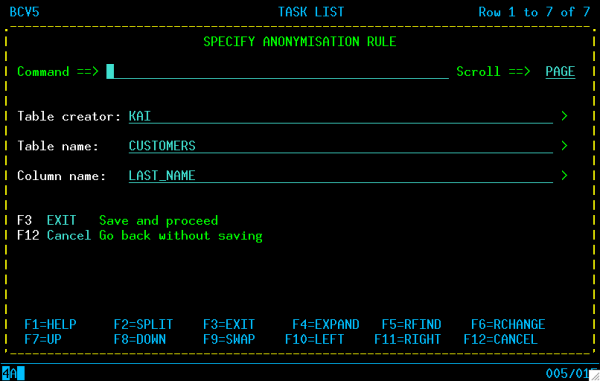 Individual copy tasks can also have additional rules that only apply only to that task. Data reduction is implemented using a WHERE clause, similar to one used in a regular SQL statement. This facility even works when the source table space is stopped. Data is manipulated by a proprietary technology built into the copy utility that operates directly on the underlying VSAM data sets. The manipulation takes place outside of DB2 which is one factor that accounts for the productï¿½s speed. No log data is produced that could be used to draw conclusions about the original data. After the copy, the indexes on the affected tables are automatically rebuilt. Optionally, an image copy is taken as well. When the process finishes, the target tables are ready for use.